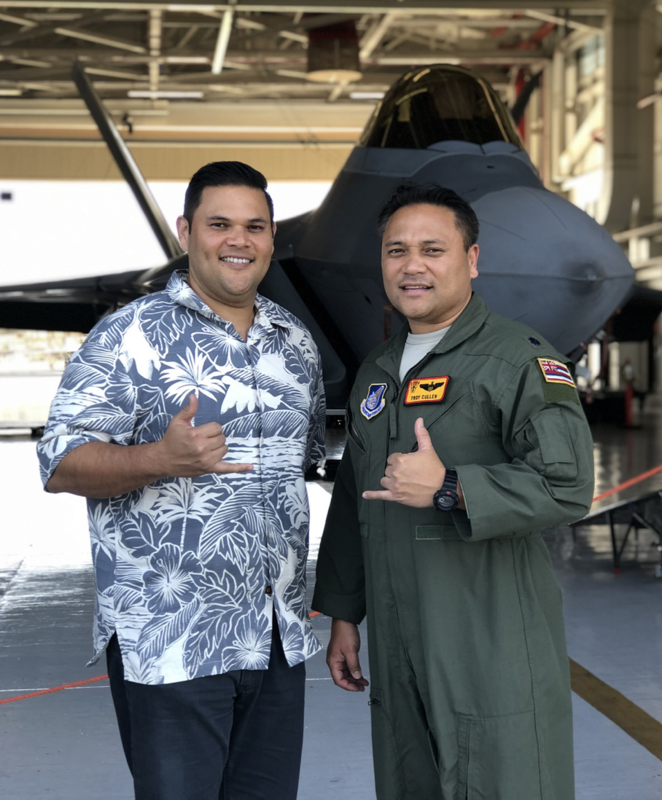 Recently, the Hawaii National Guard hosted the Chair of the House Finance Committee, Representative Sylvia Luke and her committee staff to a tour of the 154th Wing. Luke and other staff members were given a HIANG Welcome Brief in the Daniel K. Inouye facility and a static tour of an F-22 Raptor. View the photographs from their visit. During the visit, Committee Vice Chair, Representative Ty Cullen had a photo opportunity with his brother, Lt Col Troy Cullen, a C-17 pilot who serves with the Wing. They have another brother, 1st Lt Sy Cullen, who serves with the 169th Air Defense Squadron.